A decade ago, financial markets were in chaos as the economy struggled to absorb the collapse of Lehman Brothers. Policymakers and central banks around the world fought to contain the after effects and avert further catastrophe. 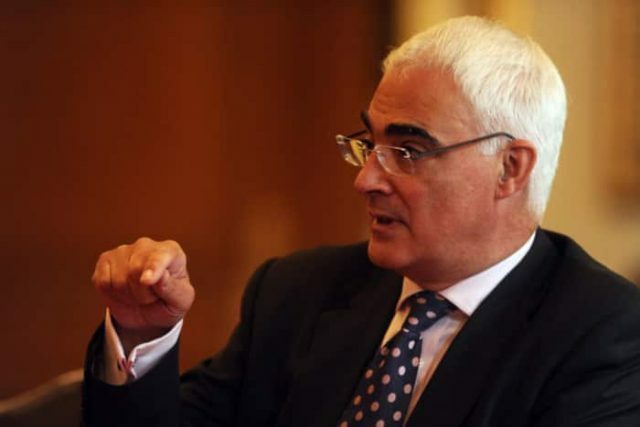 Join Labour in the City for an audience with Alistair Darling, Labour Chancellor of the Exchequer from 2007-2010, to talk about how events unfolded at the heart of the crisis, interviewed by our Chair, Sophia Morrell. Anneliese Dodds MP, Shadow Treasury Minister, Craig Donaldson, CEO, Metro Bank, Deborah Hargreaves, the High Pay Centre, John McFarlane OBE, Chairman of Barclays, Sophia Morrell, Chair, Labour in the City, Ann Pettifor, Political Economist, Jonathan Reynolds MP, Shadow City Minister, Xavier Rolet, former Chairman of the London Stock Exchange, Simon Lewis, CEO, AFME. Spaces will be limited so RSVP is essential. Register by clicking on the green ‘Book Here‘ button below. TIME: 6.15pm arrivals for 6.45pm Q&A start, followed by a drinks reception kindly sponsored by the City of London Corporation.